HomCom office chairs offer the support you need to get you through your busy day. If you're an office worker who spends their time in front of a computer or in meetings, you'll want a chair that not only has a stylish look but one that provides lasting comfort. 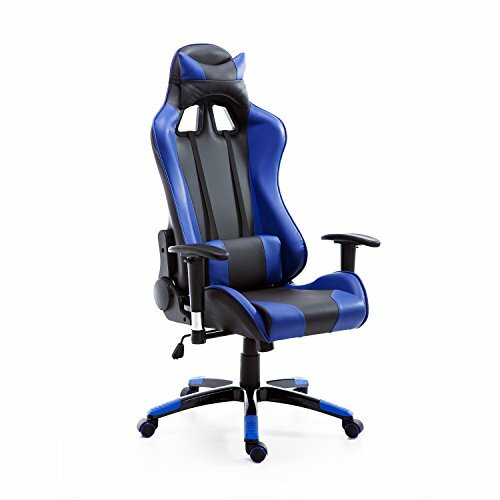 This chair features a race car style design, 180-degree recline, head and lumbar support, adjustable seat height, 360-degree swivel and smooth-rolling casters for personalized well-being and convenient mobility around your desk. An absolute must for professionals who put in long hours at their workplace. - Seat to Floor Height: 20.25"- 24.25"
- Armrest Size: 11"L x 2.75"W x 6"- 11"